Max MSP is a visual programming language with nearly endless possibilities for art, music, and pretty much anything you put your mind to. Wanting to expand our MaKey MaKey piano beyond the standard 6 keys, we wanted to use Max to create a larger piano with more notes. 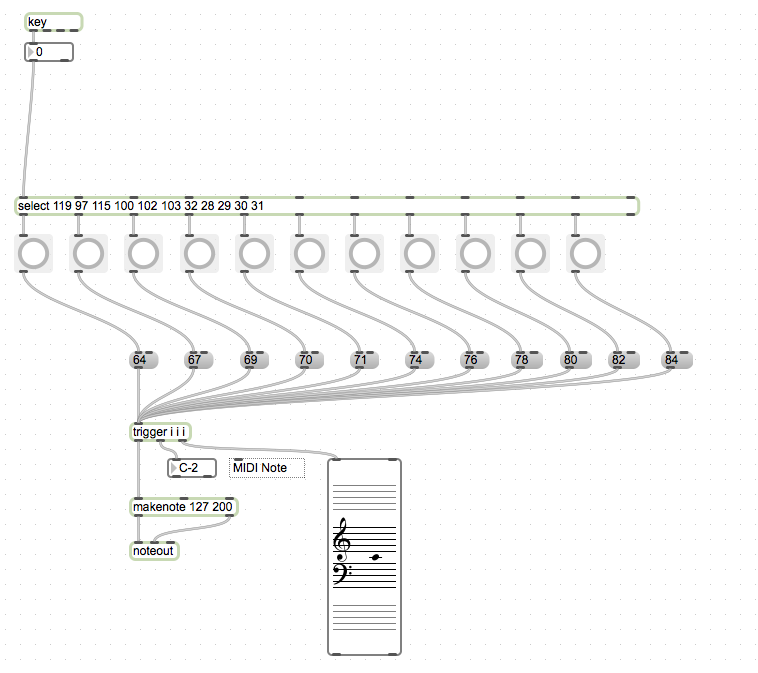 The follow Max patch can be used to create an 11-key MaKey MaKey piano, but could easily be used to create piano with considerably more notes. If you are a Max user, please feel free to borrow this patch. If you have ideas for improving it, please let us know!